Hello, tokusatsu community! Joshua Perry here to talk about SODO figures on my biweekly series, SODO Sundays. This week we have news from Kamen Rider Build, and other Kamen Rider seasons. Of course, these aren’t they only Trial Forms that can be made with these pieces. Moving on to Set 3, Blood Stalk was revealed last time, this time we have the next 2 Best Matches for Kamen Rider Build. Set 3 only has the Fire Truck & Lion pieces for Build. The Hedgehog & Cleaner pieces are back in Set 1. Both of these figures come with stands like the other Best Matches have. The Fire pieces also include a Steam Blade for either Night Rogue or Blood Stalk. This means you don’t have to buy doubles to give both of the villains their weapons. Speaking of Blood Stalk. It appears that Blood Stalk comes with the Transteam Rifle. This is a weapon for both Rogue & Stalk. Bandai also showed off the fact that you can take parts from Build and mix them with other Build figures, including Night Rogue to make strange not seen in show forms. It seems that the 2 versions of Kamen Rider ZX are the same figure but just different in the weapons they have. Previous VS Sets of these SHODO figures have featured Secret Figures, it’s unknown if this set will feature any secrets but it’s possible they could do something like Violent Emotion Decade. We will have to wait and find out. 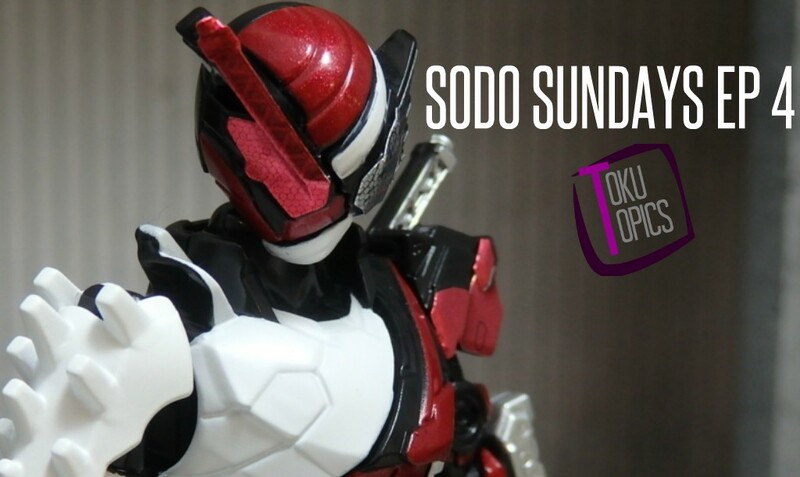 Of course, SODO Build Set 2-3 as well as SHODO Kamen Rider Vs Set 8 will be available at TokuToyStore.com! That’s it for this edition of SODO Sundays! The next edition will be on Sunday November 5th on both Toku Toy Store News and YouTube channel. For constant updates on the SODO/SHODO line go check out the @SODOFountain Twitter page.